Have your say during the detailed design phase of the project. Wagga Beach and "The Bend"
“The Bend” precinct encompasses some of the more significant interfaces between the city and the river. This area includes the Wagga Beach which has historic significance and has been a key recreational space for the people of Wagga Wagga for many years. An upgrade of the landscape of the Wagga Beach was completed in 2014. This was the first stage in a process to turn “The Bend” into an iconic destination space for the people of Wagga Wagga and visitors to the city. The landscape plan for The Bend has come from the concepts created in the Riverside Strategic Master Plan (2010). The Wagga Beach plan aims to improve the activation with the water front and includes the incorporation of a variety of functions and elements to create a rich fabric of sub spaces. improved links to the CBD and Civic Centre. Wiradjuri Reserve is located south of the city centre and has long been utilised by the people of Wagga Wagga as a recreational space for boating, fishing and swimming. The reserve is also a significant location for the Indigenous Wiradjuri people from the Wagga Wagga area. The reserve served as a traditional Wiradjuri camping place with access to the riverside, beach and shallow water. The strategic master plan identified some key objectives for Wiradjuri Reserve to improve the visual appeal, natural environment and recreational facilities. Several key projects have been completed since 2010 to meet these objectives. These include an upgrade to the existing amenities block, construction of a boat ramp and fencing of natural vegetation areas. Completed in 2012, this project involved the construction of a boat ramp, car parking areas and improvements to the road system into Wiradjuri Reserve. This was a key project for the activation of the reserve and serves as the major access point to the Murrumbidgee River in Wagga. The project was funded in partnership with Roads and Maritime Service (RMS) and Wagga Wagga City Council. 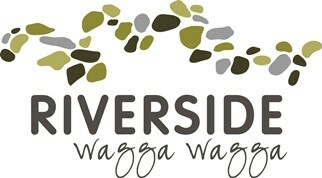 The Wiradjuri Amenities was upgraded in 2012 under Wagga Wagga City Council’s facilities upgrade program. The upgrade saw the ageing facility receive a much needed upgrade with new fitting and fixtures, painting and a new roof. This project was completed to compliment the new boat ramp and parking areas. Wilks Park and the surrounding Crown reserves have long been used as a camping spot with gazettals for camping dating back to 1888. In recent times, Wilks Park and the surrounding reserves have been used by Recreational Vehicles (RV’s), caravans and campers for short stays at no cost. In 2012, Council formalised this process through the approval of a short term spot over point. This allows self contained vehicles to be permitted to use the park for a maximum 72 hour period at no cost. To facilitate this process, the amenities block at Wilks Park was upgraded with new fixtures and fittings, new roof and fresh coat of paint. The upgrade also saw the installation of a dump point for RV’s to dispose of waste before moving to the next location. The Wagga Beach was home to The Wagga Beach Life Saving Club (WBLSC), an elite band of men which patrolled Wagga Bathing Beach for approximately 40 years. The club came officially into being on or about 24 July 1927. The club had been (unofficially) in existence since the early 1920s, but it was in 1927 that a second club, "The Badgers" joined with the lifesavers. The Badgers were a social footballers club and swimming was one of their activities. The Wagga Beach has recently undergone a $1.02M face lift as part of the implementation of the Riverside Strategic Master Plan. The Wiradjuri Reserve to Gobba Beach corridor of the Murrumbidgee River is an Aboriginal camping and meeting area used from traditional to modern times. The area is significant as a former gathering, corroboree, fishing, camping, swimming and river crossing place for local Wiradjuri groups. The area is rich in resources including plants, land, fresh water animals and water. It is also the location of a traditional Wiradjuri river crossing place where, according to traditional stories, the carer of the ‘Nurrang gungali’ or crossing place resides. A shanty town, or fringe camp, was established on the Wiradjuri Reserve in the 1930s. The settlement, locally known as “Tintown”, consisted of numerous huts occupied by both Aboriginal and non-Aboriginal families, dependent on government rations during the Great Depression.